The Formatt 5 x 5" Combination 81EF/ND 0.6 Filter, made with SCHOTT-Desag B270 crown optical glass, combines the effects of an 81EF light balancing filter with a neutral density filter. An 81EF filter (the strongest in the 81 series) will more than replace the yellow missing from the image and place all skin tones on a distinctly warm level. Neutral density filters appear gray and reduce the amount of light reaching the film. They have no effect on color balance and are very useful when you want to shoot high speed film outdoors on a very bright day. Often it is necessary or desirable to balance the light intensity in one part of a scene with another. This is especially true in situations where you don't have total light control, as in bright contrasty landscapes. Exposing for the foreground will produce a washed-out, overexposed sky while exposing for the sky will leave the foreground dark and underexposed. 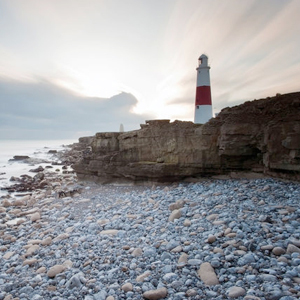 This filter enables cloud detail to be kept correctly exposed in the picture. Determining which graduated neutral density filter yields ideal results for any given lighting situation takes knowledge, experience, and a collection of such filters. 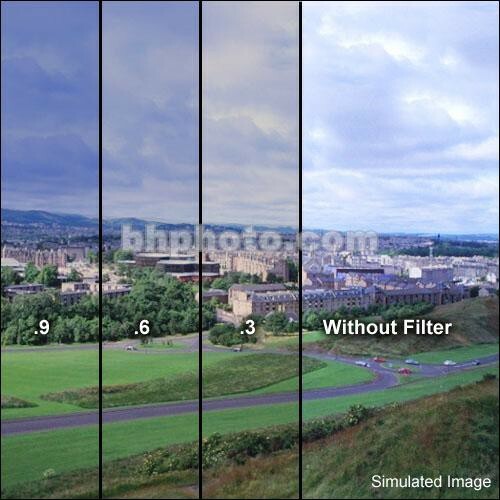 Choose the filter strength that adjusts the lighting to stay within the exposure latitude (greatest difference between bright/dark values) and still shows details in either the digital or film medium in use. 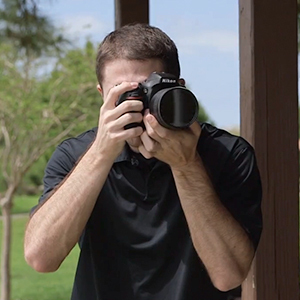 Speaking generally, the 2-stop value (ND 0.6—the filter's clear portion allows 4x more light to pass versus the darkest portion) effectively compensates average bright sky-to-foreground situations, and the soft transition is applicable more often to a scene than the hard transition.